Material: Made of superior Stainless Steel, Rust-proof, Stain-proof and Crash-proof. Capacity: 15 oz Milk Pitcher. Height: 11.8cm, dia of bottom: 7.9cm. Ideal to use at home or office. 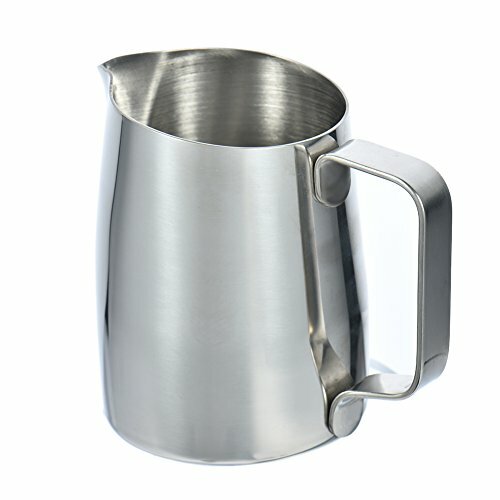 Multi-function: Froth or steam milk for lattes; Measure liquids; Serve milk or cream. If you have any questions about this product by Fulstarshop, contact us by completing and submitting the form below. If you are looking for a specif part number, please include it with your message.